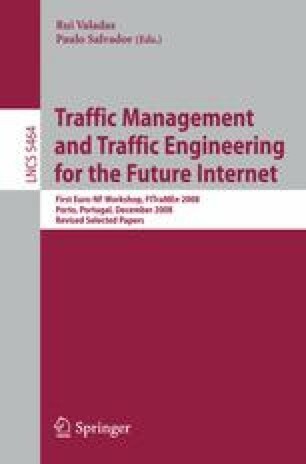 This paper presents a scheme for reallocating bandwidth in path-oriented transport networks. At random time points, bandwidth is allocated to those paths that (possibly temporarily) value it most highly. The scheme acts according to local rules and without centralised control. The proposed scheme is thus distributed and scalable. Previous studies have shown that bandwidth reallocation, together with the provision of appropriate amounts of spare capacity on certain links, can be used to rapidly deploy and capacitate equivalent recovery routes in the event of network equipment failure. The purpose of this study is to determine if the same reallocation mechanism can also deal effectively with repeated, small scale random traffic fluctuations and with time varying traffics. We present a simulation model of a 30-node 46-link network which we use to evaluate the efficacy of the bandwidth reallocation scheme. The simulation study shows that bandwidth reconfiguration can substantially reduce the connection loss probabilities.